Kinshasa 06-02-2019 Politics - The president of the provisional office of the National Assembly, Gabriel Kyungu, reaffirmed his words, a week ago, saying that it is no longer the moment to confine Felix Tshisekedi in a tribal or political straitjacket- This one being the president of everybody. Returning to Kinshasa after his stay in Lubumbashi where he chaired the inaugural meeting of the provincial assembly, the president of the provisional office of the National Assembly indulged yesterday Tuesday, February 5 to the press in his office at the People’s palace. For Gabriel Kyungu, it's no longer time to procrastinate. We must unite and get to work around the new President of the Republic, Félix-Antoine Tshisekedi Tshilombo. He express in this way: "It is no longer the moment to confine President Tshisekedi in a tribal or political straitjacket. He is the president of everybody. And for us as political actors who have had the advantage of fighting with him, we must help him to quell these quarrels and avoid the intoxication of milk. We have the duty to accompany him, the duty to create peace around him. I was forced to sound the alarm before it was too late and to make everyone understand that the time is not for quarrels, but for work", the president of the provisional office of the National Assembly said. The occasion making the thief, he recalled the words of Felix Tshisekedi on unity. "President Tshisekedi insisted on the appeasement and return to a republican order, a civil peace to allow our people to move towards true democracy, alternation and the rule of law that everyone has called his wishes (...). This alternation is not a spoils of war, that a group could boast, to monopolize everything while despising the old companions. We must have an attitude of responsibility, "he added. 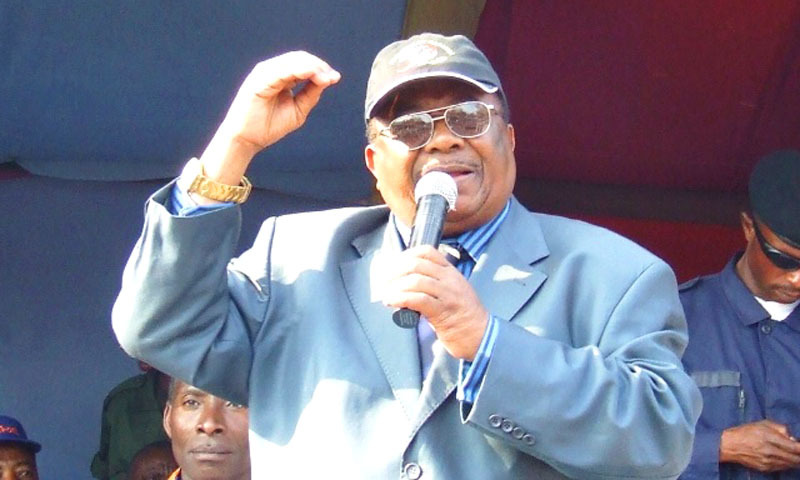 Supporting Tshisekedi's mandate, Kyungu calls for a "political quarrel". The president of the provisional office of the National Assembly, Antoine-Gabriel Kyunguwa Kumwanza, calls the Congolese political class to support the quinquennium of Felix Tshisekedi at the head of the Democratic Republic of Congo.